Jan. 6, 2019 - Resentment and discontent toward the ruling mullahs among the Iranian population has reached unprecedented levels over the past few years and has set the theocracy in a fragile position even among their less-educated and economically poor base. The “children of the Supreme Leader” don’t even own their homes and pay rent, “a single hair of our worst officials is better than all of the previous system”, and “over the past 40 years, we’ve made progress that equals 400 years,” are all recent statements by prominent Iranian mullahs who desperately try to cover up the results of four decades of kleptocracy, nepotism, and blatant mismanagement. Paykan, is an Iranian-made car that is famous for being cheap (and insecure) and used by lower-income classes. Having laid the necessary groundwork for his biggest lie, Golpayegani then said that the Supreme Leader’s children don’t own their homes and pay rent. He further said that for using even the simplest utilities of the office like the copy machine, the Supreme Leader’s children would pay. According to Reuters, Ali Khamenei, Iran’s Supreme Leader, owns at least $95 billion through an organization that is called Execution of Imam Khomeini’s Order. That’s a lot for a man who didn’t own a thing before the 1979 revolution and made his living by preaching in rich people’s houses. Back in 2015, Al-Quds Al-Arabi website published a report saying that the “sons and daughters of Khamenei own billions of dollars, much of which is in UK, Syria, and Venezuela banks. 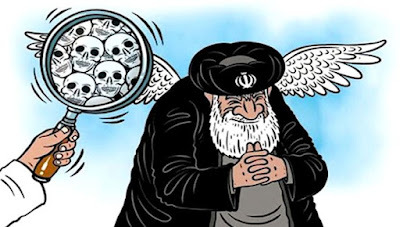 “The net worth of Mojtaba, Khamenei’s second son, is more than $3 billion… Masoud, Ali Khamenei’s third son, is worth about $500 million, $400 million of which are in France and UK banks and the rest in Tehran banks,” the report further adds. Meanwhile, over the past 12 months, there hasn’t been a day where there hasn’t been demonstrations and protests in at least a few cities of Iran. The most recent popular uprising in Iran at the end of 2017 targeted specifically Ali Khamenei, the Iranian Supreme Leader. That’s why the ruling Iranian mullahs’ quest to cover up their crimes and misdeeds is a quest doomed to fail.